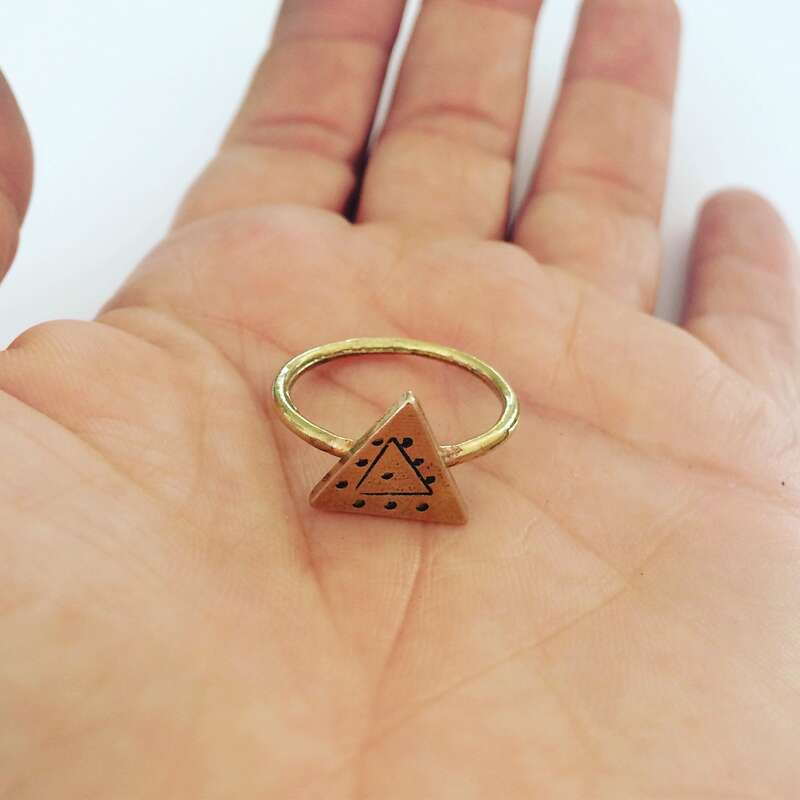 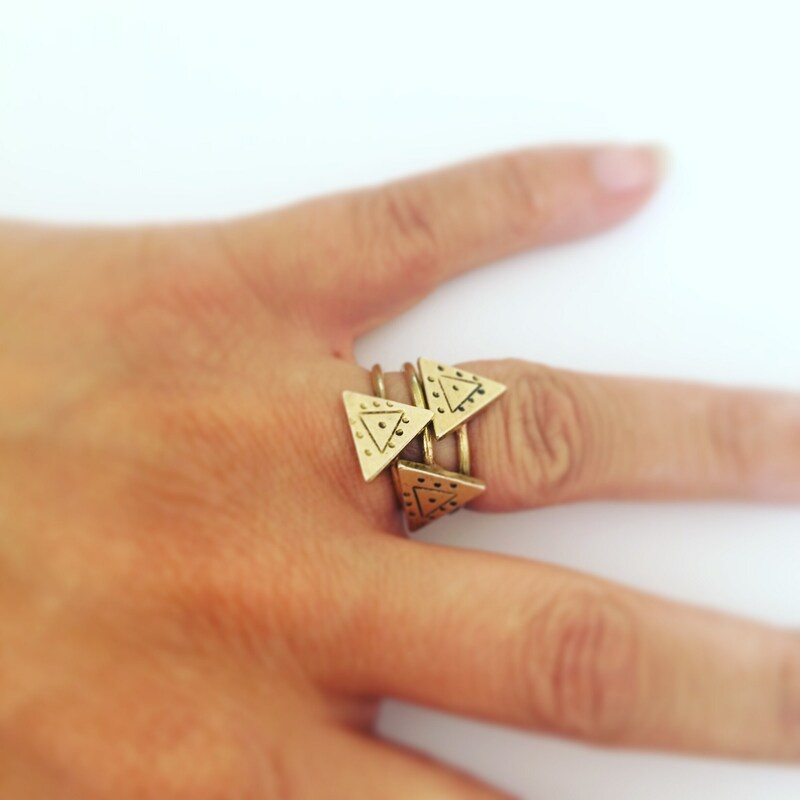 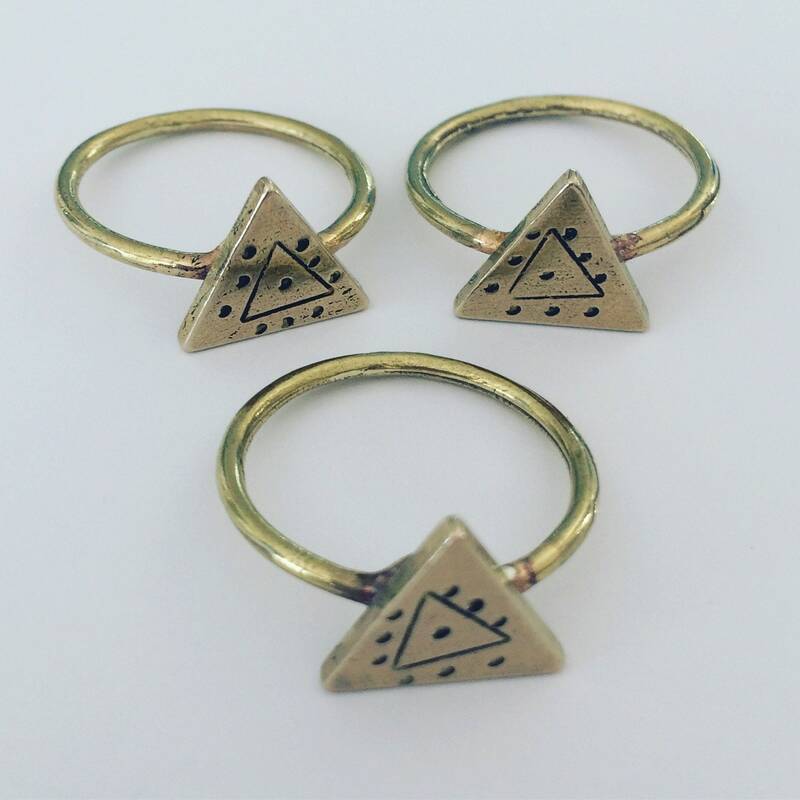 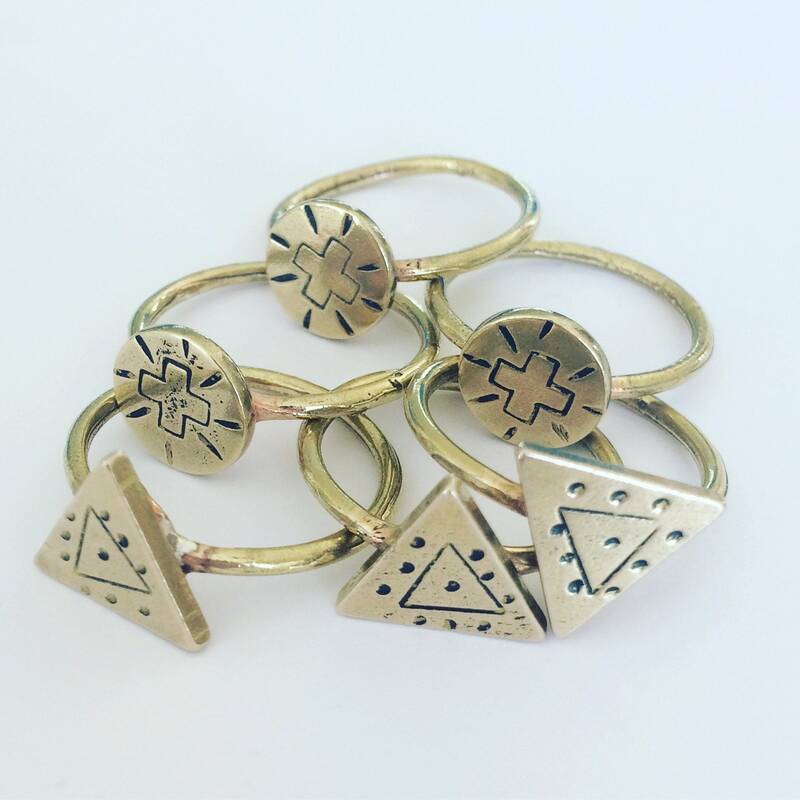 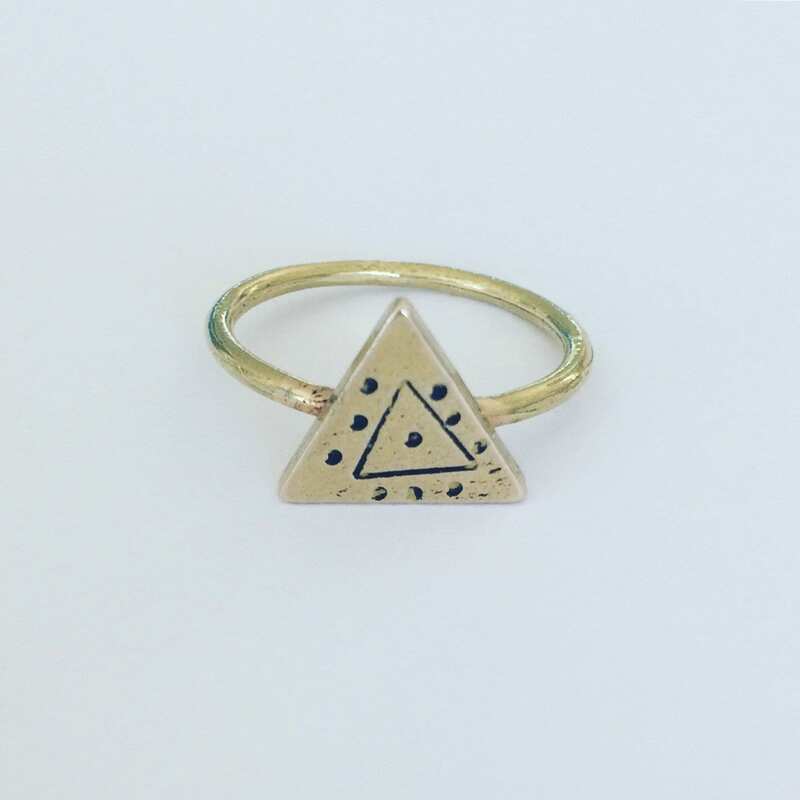 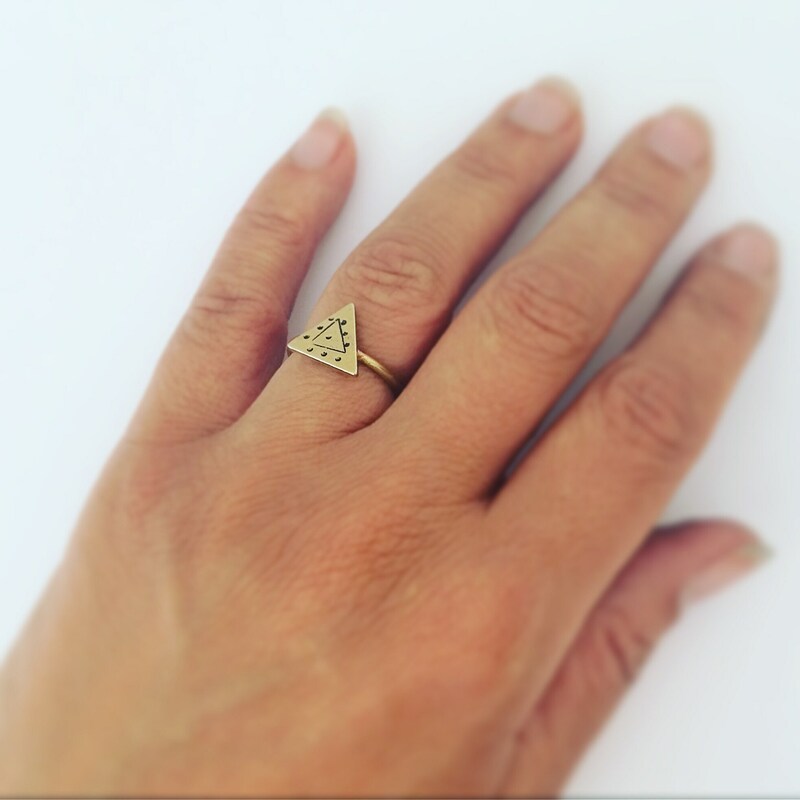 Gorgeous and powerful raw brass triangular ring with hand punched evil eye design. 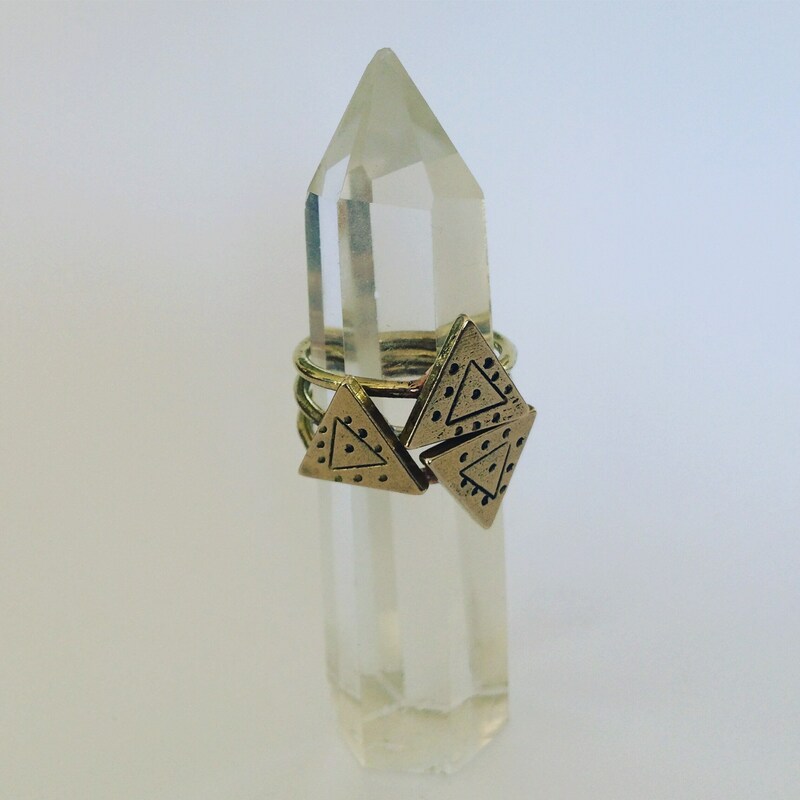 Perfect for protecting yourself from all that’s nasty! 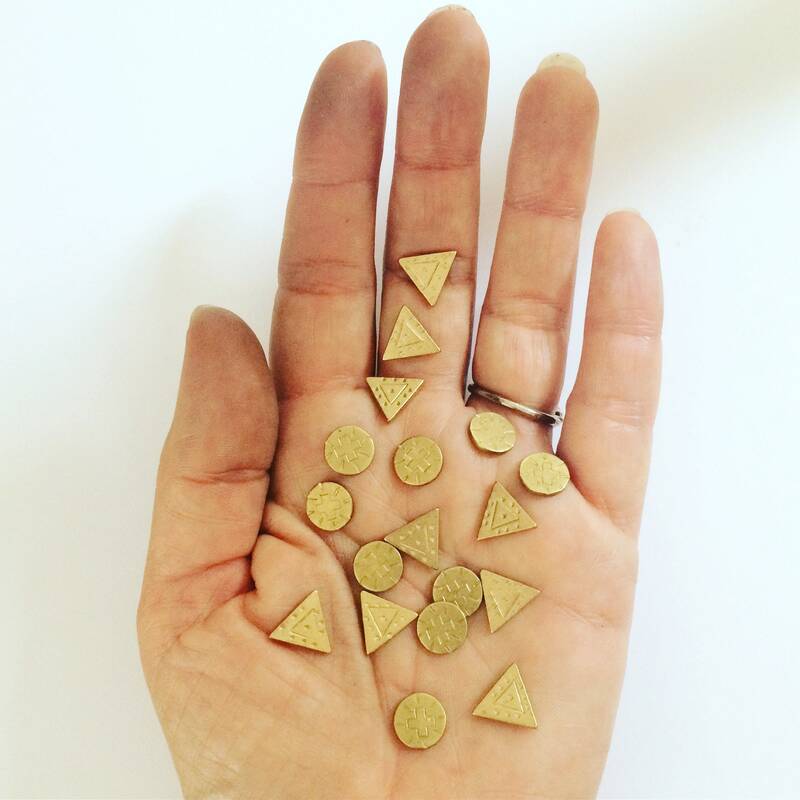 Brass can discolour with time and moisture - some people prefer the autumnal colours but if you prefer the golden hues then Brasso and a soft cloth will do the trick.